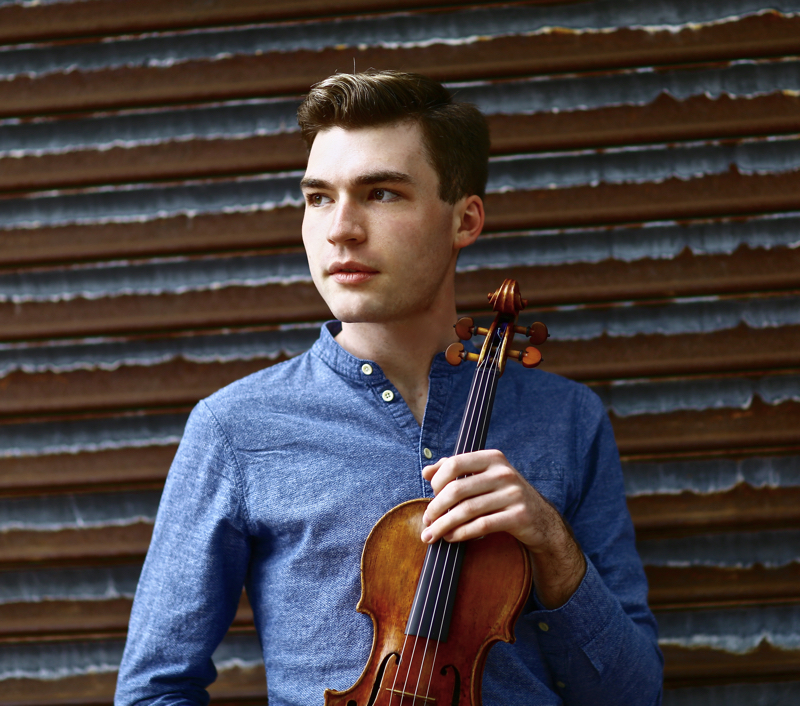 I was lucky enough to be accepted on the artist diploma program at NEC (New England Conservatory) in 2015 and about two months into the program I heard that NEC was in the process of acquiring the ‘Joachim, Ma’ Stradivari. It was owned by the family of a former student back in the 1950s, Si-Hon Ma, who kept it as his prized possession until his death in 2009. He said that he wanted it to go to NEC for use, but at that point it was in a museum in Cremona and there was a long process before it was finally gifted to the school last April – that’s when I got use of it. I’ve had friends who play Strads and Guarneris and I’d played a few notes on them here and there, but this is the first really fine instrument that I’ve been lucky enough to play for an extended period of time. There’s something very special about it. I don’t know whether it’s just this instrument or all Strads in general, but it has a huge depth of sound – it just keeps going when you hit the strings. It’s definitely been a challenge to learn how to play it. I own a Peter Greiner and there’s a night and day difference between the two violins. 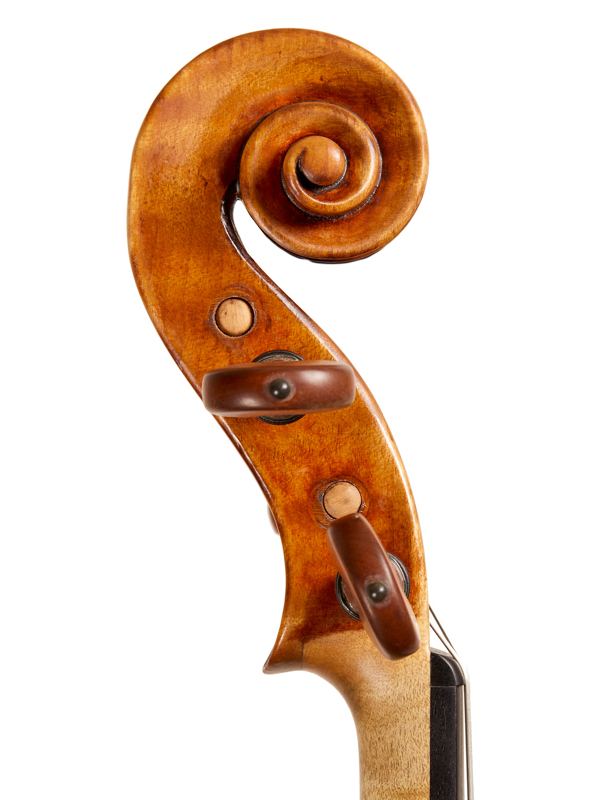 The Greiner is incredibly responsive; you can use a very fast bow and the sound just goes out into the hall with ease, whereas with the Strad you have to coax out the sound that you want. But with the Strad you can create basically any sound you imagine, so that’s been the real pleasure in getting to know this instrument – the possibilities are just incredible. Before I got the Strad I was perfectly happy with my Greiner, but exploring how to create sound in a different way has really opened up my playing – it’s changed my perception of creating sound and even how I think about music. It’s just so different from any violin I’ve ever played. I’ve been playing the Greiner and the Strad back to back in the last couple of months. On the Strad you approach the string with the bow in a particular way, but if you do that on the Greiner it produces a different sound from what I’m used to on that instrument, so there is some great cross-pollination between the two. For me, the most surprising thing about this instrument was its darkness tonally because I’ve heard so often that Strads are brilliant and incredibly cutting – warm, but not necessarily dark. So it has been really surprising in a nice way because I love that sort of darkness in an instrument. Again it’s night and day from the Greiner, which is all light and silvery sounds. It’s been such an interesting comparison to make. I played my first Brahms Concerto on the Strad last September and for whatever reason (it might have been my mindset, because this violin premiered the Brahms) it felt really amazing to play it on the Strad. It was just a perfect match. Also, I love playing solo pieces, especially Bach, on the Strad because each string has a clear character, tone and timbre, so playing Bach, which is polyphonic and multi-layered, is really fun. There are many possibilities for bringing different voices out, it’s kind of improvising. I have had it slightly adjusted a couple of times, the first time by Ken Meyer in Boston. When I got the Strad it was quite closed. It had been sitting in the museum for a while and before that it had been in Ma’s closet – I think he’d stopped playing for the last years of his life – so it was hard to play. I felt that I had to really strain myself to produce the sound – it was very difficult to project. After that first adjustment it started opening up a lot. Because the inherent character of this violin is on the darker side, it meant any adjustment really has to be on the brighter side in order to project in a hall. I had been using Peter Infeld strings, which I use on my Greiner, but I found that they were kind of dull on the Strad. Someone once said to me that sometimes the finest instruments need the ugliest strings, and when Ken Meyer adjusted it he put on Dominants. As soon as they were on, the Strad just started singing, which was an interesting development! So I’ve stuck with them. I have this violin for the length of my diploma. It’s a huge privilege to play on it, but I always knew it was never going to be a long-term loan, so I’ve just been taking it as a real learning opportunity. It’s given me a lot to work with and opened a lot of possibilities for my playing that I can start applying to my Greiner and other instruments I might play in the future. I won’t be actively looking for another instrument but if one happens upon me I wouldn’t say no! Continue reading for Jason Price’s analysis of the ‘Joachim Ma’ violin and its history, below. The ‘Joachim, Ma’ is a stylistic twin to the famous and important 1714 ‘Soil’ Stradivari. The backs are of the same wide-flamed maple and are both oriented ascending from the center-joint with stronger flame at the lower bouts. The purfling is also the same with the middle strip slightly wider and the black strips of a lighter weight than we see in other periods. The purfling mitres are also made in the same style with longer bee-stings in the upper corners and an extreme orientation towards the inner edge of the corners. 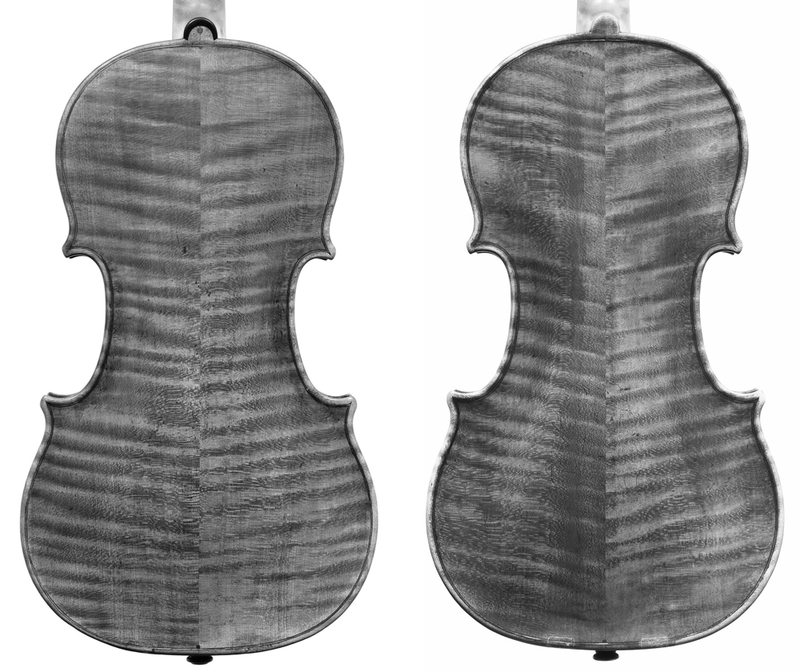 In this period of Stradivari’s output several violins besides the ‘Joachim, Ma’ have their soundholes set slightly at a slant, the most notable examples being the 1716 ‘Messiah’, the ‘Soil’ and the 1711 ‘Parke’. The label of the ‘Joachim, Ma’ is the original but the last digit has been altered or rewritten. 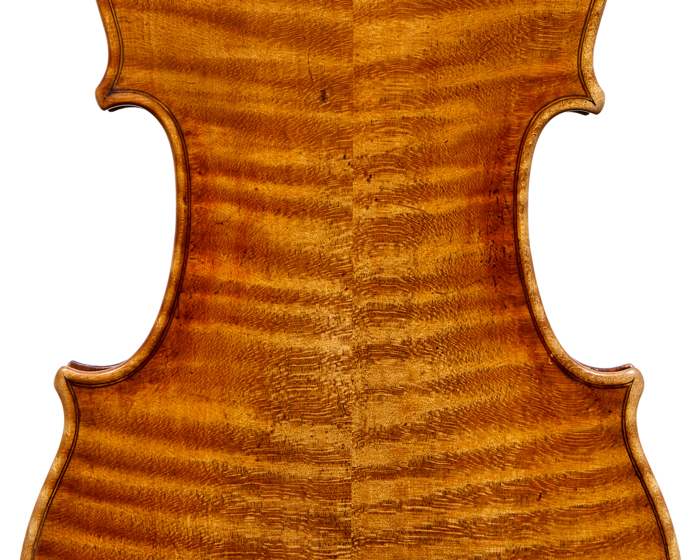 Much of the original varnish has been worn away but there are still sections of the fiery orange-red to remind us of the bold character that defines what is arguably Stradivari’s most successful period of making. The Hungarian virtuoso violinist Joseph Joachim owned no fewer than 11 Stradivari violins during his long and distinguished career as soloist and pedagogue. Of these, six violins came from the absolute apex of Stradivari’s Golden Period – the years 1714 and 1715. 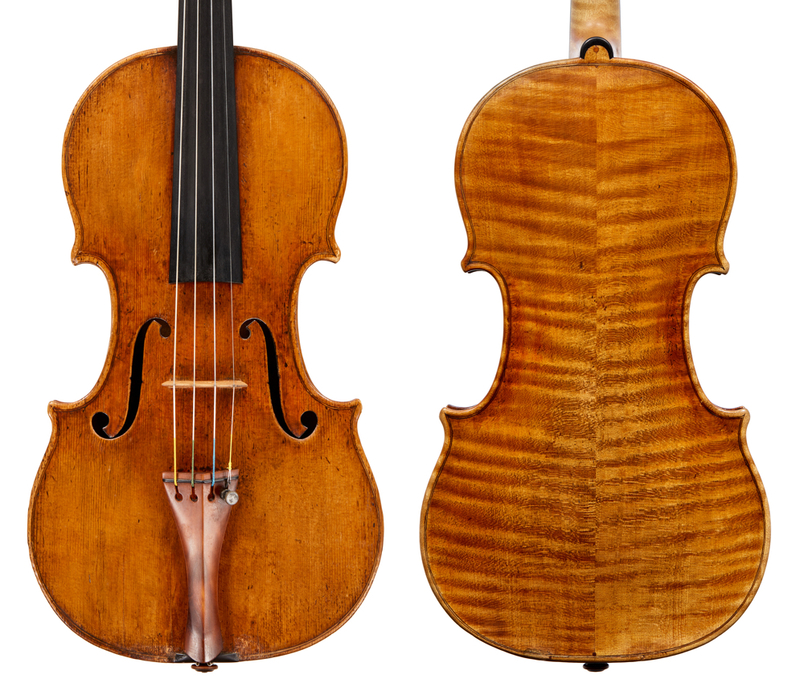 The c. 1714 ‘Joachim, Ma’ was the first Stradivari that Joachim owned and it was acquired in 1849 when Joachim was just 19 years old for ‘250 louis d’or’ or approximately £200 (according to the Hills in Antonio Stradivari: His Life and Work). 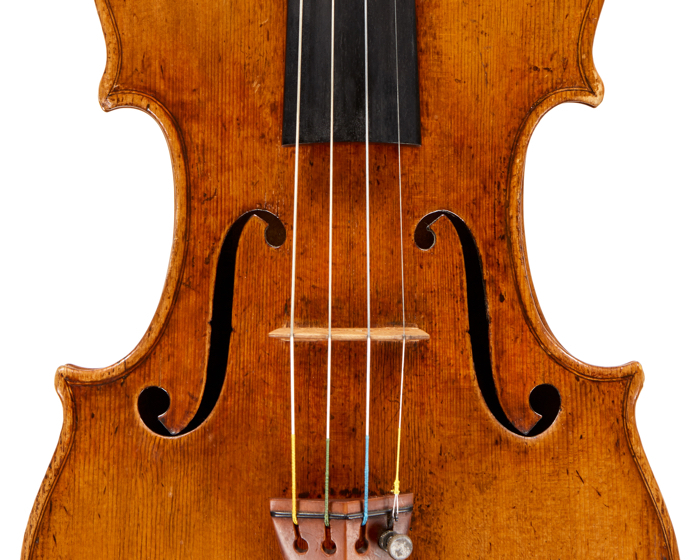 It is reported that this violin was Joachim’s primary concert instrument for much of his career and that it was on this violin that he premiered the Brahms Violin Concerto on New Year’s Day in 1879. Joachim owned the violin until 1885, when he sold it to acquire another Stradivari of the same year. Over the course of the next 80 years the ‘Joachim, Ma’ was owned by several important collectors, including the Baron Knoop and John Bennett, and by several musicians including Paul Stassevitch and most likely also his pupil Ruggiero Ricci. In 1967 the violin was bought by Si-Hon Ma a violinist and teacher who bought this instrument with profits from his invention of the Si-Hon Mute. Most recently in 2016 the violin was gifted by the estate of Si-Hon Ma to his alma mater, the New England Conservatory, where it is currently on loan to Alexi Kenney.